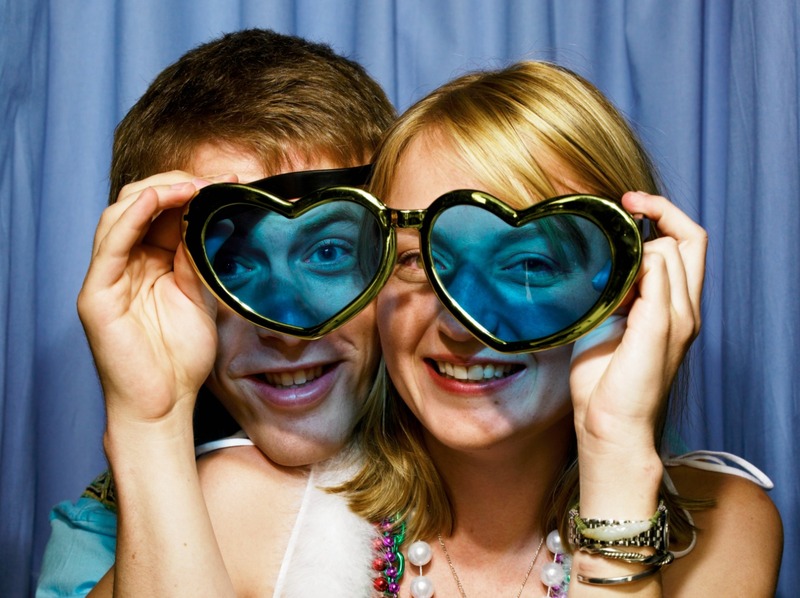 A wedding photo booth adds the fun factor to your wedding. It can give your guests something to do while you’re having your photos taken and can produce some great shots for your guest book, wedding album, or thank you cards. Follow these wedding photo booth tips to get the most out of your booth. Ensure that your wedding photo booth is decorated to match the style of your wedding theme or colour scheme as it will be the centre of attention during your wedding reception. This applies for the attendant as well so find out what their outfit will be and if you want them to dress in a particular way inform them in advance. One guest in a photo booth might feel a bit embarrassed (think passport photo scowls), but as soon as couples or groups descend upon the booth the photos will be relaxed and fun. By providing pens and scissors the guests can cut the photos up so that they keep two and write a note on the back of the other two to give to you. Display a guest book or a pin board for them to stick their pictures to, or have a post box for your guests to put their photos in. If your booth doesn’t have an attendant, display a large sign with instructions for your guests, but many hired wedding photo booths come complete with a ‘booth butler’ or attendant who will ensure the machine is working properly and will explain to guests what they have to do. Spend time before the wedding gathering a boxful of props that work with your wedding theme. Make them as silly and quirky as you like. Providing your guests with hats, cuddly toys, puppets, and novelty glasses can result in some hilarious shots. Some photo booths can now store the images taken during your reception digitally, and you can access them after the wedding. A montage of photo booth shots can be a fun addition to your wedding video and the images are great for thank you cards, or can even be included in your wedding album. Many newlyweds decide to use their wedding photo booth during the drinks reception and this is a good opportunity to keep your guests occupied while you have your couple photos taken. Having said that, you will probably get more relaxed and fun shots after dinner, when everyone has had a couple of glasses of bubbly and guests have become better acquainted with one another. Usually, the cost of hiring a photo booth depends on the amount of hours you use it for, so think what the best time would be to have your booth set up. Make sure you put aside a few minutes to cuddle up in the photo booth with your new husband. It can be a rare chance to spend some precious moments together during an otherwise hectic day.